Have the ultimate control and gain the confidence and freedom to trust your dog off leash! 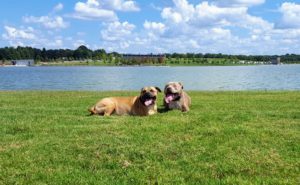 With an Advanced Off Leash Obedience training course from Dog Obedience College of Memphis you can do just that! 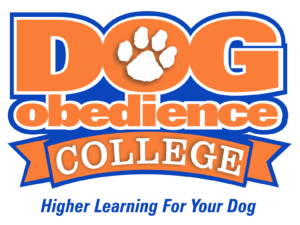 Dog Obedience College offers both Off Campus (in home) and On Campus (board and train) Advanced Off Leash Obedience programs. On average a student will be in school for around three weeks. Although some dogs do need a little extra obedience tutoring time to be sure they understand all the training material. The Dog Obedience College trainers tutor each dog until they have a passing grade. While attending Dog Obedience College your pup will be worked and tested multiple times around numerous real life distractions such as; dogs, people, squirrels, bikes, cars, and much more. As your dog’s obedience skills improve and graduation nears, a Dog Obedience College trainer will schedule a graduation appointment and a series of follow ups. 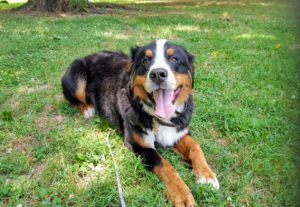 During these appointments and follow ups the trainer will teach you how to best use and maintain your dog’s off leash reliability. Have a dog trainer come to you! Each In-Home obedience course takes advantage of all the distractions in your home and neighborhood. Your dog will have the opportunity to learn reliable off leash obedience without having to be sent away from your home. Send your pup off to doggie school to learn reliable Off Leash Obedience and return a fully trained dog in a matter of a few weeks! During the On Campus Board and Train Obedience program your dog will stay in comfort, and get spoiled, at a local kennel. Not sure which program is right for your pup? No Problem! Dog Obedience College of Memphis offers Free Dog Training Evaluations. The evaluations will give you an opportunity to discuss your dog’s trouble areas, meet the trainer, and see if one of our programs is right for your pup.For more information or to schedule an evaluation please Contact Us at info@DogObedienceCollege.com or 901-310-5826 and a trainer will be happy to help!